Bike repair and maintenance course. Ten people attended the bike repair and maintenance course we organised at the Well Fit gym premises at Skerries Shopping Centre over six mornings in May. 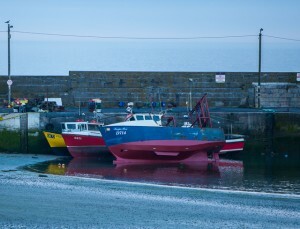 It was initiated by Skerries Tidy Towns with funding by Fingal County Council and the Department of the Environment under the Local Agenda 21 programme. Bike mechanic Paul Callan from The Rediscovery Centre, a social enterprise based in Ballymun, conducted the sessions. All participants enjoyed the course and now feel confident about tackling bike repairs. 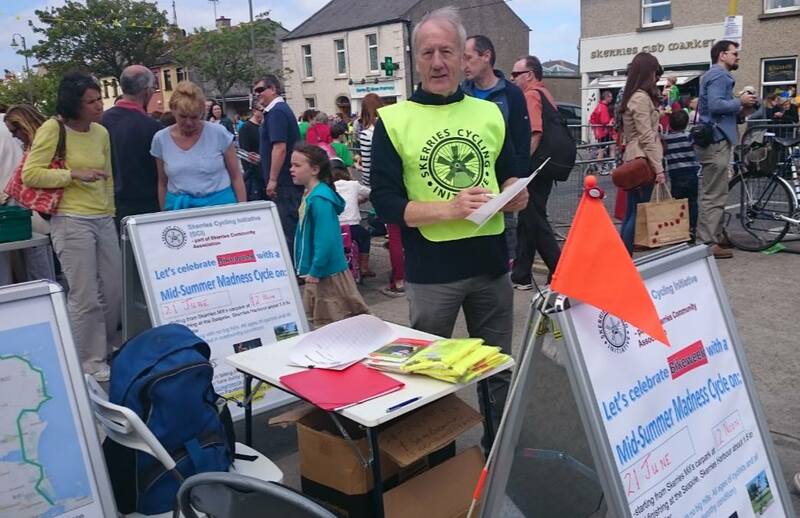 The Rás End Stage street party and the fine weather gave SCI a great opportunity to talk to people about improving cycling infrastructure in and around Skerries. The need for a safer cycling route between Skerries and Balbriggan came up many times. People really want to see this happen soon. We were delighted that twenty eight new subscribers signed up to our email Newsletter on the day. To receive it yourself, just send an email to cycling@skerriesca.com. Bike Week Fun Cycle. Our Midsummer Madness Fun Cycle on 21 June was a trip around the town and local housing estates exploring lesser known paths and laneways as well as Town Parks, the Ballast Pit path and Distributor road. We returned from Barnageera Cove via the coast road and finished with a picnic at The Seapole. Submissions to FCC. During the last year we made submissions on 30 km/h in residential areas, cycling in Town Parks and the draft County Development Plan. We continue to press for the completion of the cycle track from Balbriggan to Skerries, and for greater awareness of the importance of cycling to a number of areas, including the development of tourism in Fingal. Cycling on South Strand As a group working for better cycling facilities in Skerries we had mixed feelings about the proposal to ban cycling along the South Strand path. However we are convinced, having heard many accounts of accidents involving walkers and cyclists that the path is not suited to adult cycling given the potential for conflicts with other users. However, Fingal County Council accept that young children, properly supervised by a parent, may cycle on the path. Ray Ryan, Chairperson, Skerries Cycling Initiative. 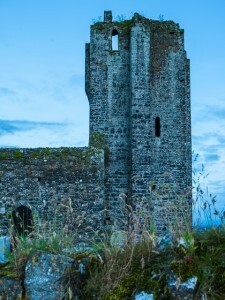 Fingal County Council (FCC) has just published a Tourism Strategy for 2015-2018. Crucially, their plan includes what they call The East Coast Greenway from Balbriggan to Howth. This Greenway proposal is vital for the Skerries Cycling Initiative as it matches closely our own cycling tourism concept : The Fingal Coast & Castle Way which links cycling along the coast from Balbriggan to Sutton with all our major parks and heritage sites such as Skerries Mills. We will be watching progress on this proposal closely and will do everything we can to get FCC to give us a cycleway of the appropriate quality. As the document shows, already tourists contribute half a billion euro to Fingal’s economy! Just imagine how much more that figure could be if we had a coastal cycleway with powerfully signposted and advertised links to Ardgillan, Skerries Mills, Rush Harbour, the Rogerstown Estuary, Newbridge House & Farm, the Broadmeadow Estuary, Malahide Castle, Portmarnock Strand, Howth Head etc! 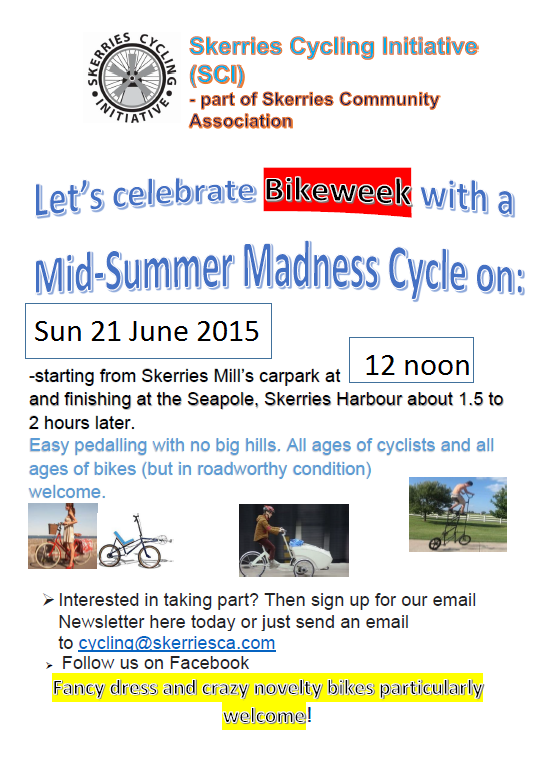 As part of Bikeweek 2015, Skerries Cycling Initiative are organising a fun cycle for cyclists of all ages, taking place on Sun 21 June from 12 noon. Meet at Skerries Mills (Car Park), and follow the SCI volunteers on an easy cycle (9 km in total, no hills, suitable for all ages and bikes – as long as they are roadworthy!) that will take in Strand Street, South Strand, the Rugby Club, Hillside, the train station, go past Skerries Point to Barnageeragh Cove and back along the coast road to Skerries Harbour, ending at the Sea Pole some time after half one in good time for a quick picnic (pack something nice for yourself and maybe to share) before heading over to the Lego Fun Day, a fundraiser for fellow-SCA-committee Soundwaves! Bring water, it might be a hot day. 2015 An Post Rás to finish in Skerries – for the 10th time! This will be the 10th time that the this exciting bicycle race will finish in our town. Mark your diaries for Sunday May 24! After nearly 1,200 kilometres, the riders will be able to look forward to a great welcome in Skerries. 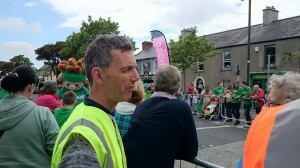 The An Post Rás Skerries Stage End Committee (a committee of the Skerries Community Association) are already on the case! The last stage of the race is the shortest but Race Director Tony Campbell says that a modification has been made to the finale which could bring about a last gasp change in the overall standings. After the drop of the flag in Drogheda the bunch will race through Donore and Navan prior to an An Post Prime in Kilmessan, 35.1 kilometres in. The first of five third category climbs will rear up at Newtown (km 63.3) followed by the second at Ardgillan Castle (km. 83). Soon afterwards the peloton will race into Skerries and cross the finish line for the first time, 91.4 kilometres after the start. They will then begin three 13.7 kilometre finishing laps, each bringing them across the Black Hills category three climb and providing opportunity to strong riders who are chasing overall victory or the stage win. Unveiling a fast and tactical route which totals almost 1,200 kilometres, the organisers of An Post Rás today launched what could be one of the most suspenseful editions of the race in recent history. Deliberately omitting some of the tough first category climbs that have featured in recent years, the emphasis this time around is on opening up the possibility of attacks at any point in the race. This change is set to add greatly to the unpredictability An Post Rás has long been known for. The 2015 edition of the race will begin in Dunboyne, travelling clockwise around Ireland with stage finishes in Carlow, Tipperary, Bearna, Newport, Ballina, Ballinamore and Drogheda, before the customary finale in Skerries. Scrapping it out over eight days, the riders will still have 21 categorised climbs to deal with. But with just two of these being second category, surprise attacks, high speeds and strong winds will likely be the biggest factors in shaking up the peloton and deciding the final overall result. Announcing the route for the May 17th to 24th event in Dublin’s GPO, An Post Rás, Race Director, Tony Campbell anticipates a gripping contest. “This year’s race is a lot flatter than recent years,” he stated. “However it is very rolling terrain and very exposed and there is very little shelter on a lot of stages. As has been the case in recent years, the route was designed by Stephen O’Sullivan. Campbell said that the choice of terrain is intended to strike the right balance between the international and the domestic competitors. The new format will ensure that both groups can influence the outcome. Double Olympian and former Rás winner David McCann was on hand to launch this year’s route alongside Irish riders Damien Shaw, Eoin Morton and Sean McKenna. McCann, who lifted the coveted trophy in 2004, believes this year’s route will make for a thrilling spectacle. Day one of the race covers 154.4 kilometres from Dunboyne to Carlow and has been set up to ensure a fast, aggressive opener. It features four third category climbs at Sherlockstown, Boherboy, Hacketstown and Kilcommon each awarding points towards the King of the Mountains competition. It also includes An Post Hotspot Sprints at Naas, Clonegal and Ballon. Time bonuses will be on offer at each of these three gallops, but larger bonuses at the finish mean that whoever wins the stage will don the first Yellow Jersey of the race. Details of the international teams set to join this year’s An Post Rás will be released over the coming months. The An Post Chain Reaction Sean Kelly team has already committed to participating. There is considerable interest in Skerries in the redevelopment of Skerries Town Park, and rightly so. In addition to the direct submission made by Skerries Community Association to Fingal County Council, a number of our committees also made their thoughts known. Some of them can be accessed here on our website – see rough summaries and links below. 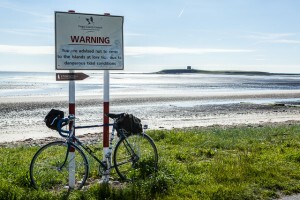 Skerries Cycling Initiative (SCI) welcomes this plan in principle. The proposed new entrances and paths have the potential to create better access to amenities in the park and more importantly, to provide links between the North, South, East and West of the town. The Town Park serves many purposes and its redevelopment gives Skerries a unique opportunity. Our comments in this submission are directed towards improving the Town Park as an active travel hub as well as improving access to the many amenities -existing and planned- in the Town Park. As such our focus is on extending the capacity of the Park to provide safe routes of travel for persons walking and cycling, using wheelchairs and other mobility vehicles including cycles adapted for persons with disabilities. We want the end result of the redevelopment to be the creation of an inclusive, age friendly and attractive space. We wish also to point out that increasing numbers of battery powered mobility vehicles are in use around the town and it is important that the users of these vehicles are catered for through well designed pathways in the Park. Sustainable Skerries wishes to submit a proposal to Fingal County Council with respect to the Skerries Town Park development to allow an area for a Community garden in the plans. We believe that the ideal location for the community garden would be beside the Bowling green, where the shipping container is at present. This area has easy access for young and old people alike, and is somewhat secure. As part of the new Town Park Development Plan we would like to see a skatepark included in the overall plans. It has been the vision of the committee to construct a skatepark that is sensitive to its surrounding from a visual and environmental viewpoint. … Ideally 700 m2 area would suit a skatepark, this give enough room for mixed ages and abilities to participate at the same time. As a comparison a football pitch is around 7,000 m2. Skerries Tidy Towns also had direct input to Fingal County Council in this regard; we will add their submissions as they become available to us. As part of a review of vehicle speeds in housing estates Fingal County Council has invited members of the public to submit their views, by 22 January about the adequacy of the speed limits in their local area. Skerries Cycling Initiative (SCI) has prepared a draft submission. It is linked to below. 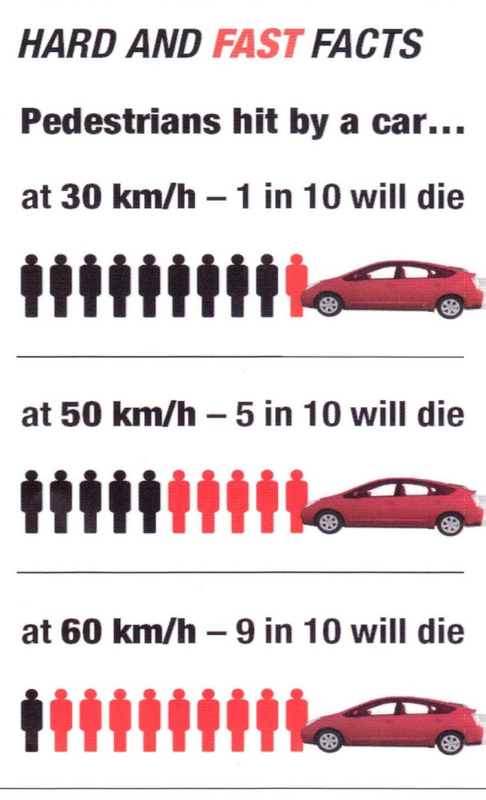 Briefly, we are in favour of 30km/h in residential areas as it would improve safety for all and would encourage more people to walk and cycle around the town. SCI would welcome any comments and suggestions on the draft before it is forwarded to the Council. Click on the link below to open the full draft submission. 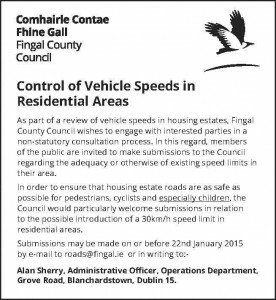 Draft Submission on 30kph speed limits in housing estates. 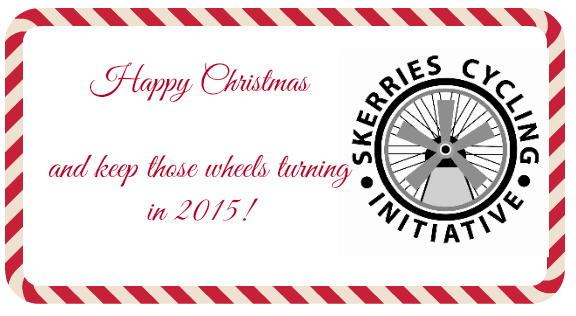 We ended the year with our second Newsletter of 2014 and an online survey about walking and cycling in Skerries. The survey responses included many useful insights and suggestions and we sincerely thank all who took the trouble to complete it. The results will be published early in 2015. The Newsletter also generated over 20 new subscribers as well as the very welcome prospect of new people joining our committee in the New Year. We got some encouraging news that funding for a cycle track from Barnageera to Balbriggan and for the Broadmeadow Estuary crossing is to be provided from 2015 on. Fingal County Council has asked for views by 22 January on reduced speed limits in housing estates and for submissions on the redevelopment of Skerries Town Parks by 27 January. Both of these items are of huge importance to improved walking and cycling in Skerries. We would like to thank you for your support during 2014 and will continue to work to make Skerries an even better place to grow up and grow old in over the coming years. 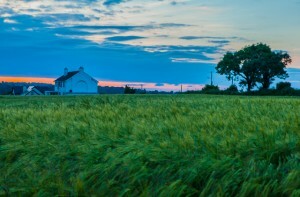 Get on your bike and see the Skerries countryside! Skerries Cycling Initiative are looking forward to welcoming lots of new faces to their “Rediscover your Bike” cycle (20 km) along quiet roads (Saturday evening, 21 June, from 7.30 p.m.), and their much-loved Family Fun Cycle to Ardgillan Park and back (Sunday 22 June, from 12 noon). Rediscover Your Bike – Saturday 21 June – meet at Sea Pole at 7.30 p.m. 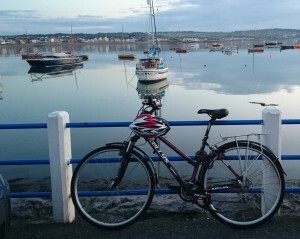 It is amazing how beautiful the surrounds of Skerries are, and how suitable for cycling! When I recently tested this route with the organiser from the SCI, I was pleasantly surprised – most of the tour was free of traffic, and very well suited to cycling. The beauty of the rolling hills around Skerries more than makes up for having to cycle up and down those said hills, and with a half-way decent bike, this is quite do-able. A half an hour took us past the Golf Club and on very scenic roads to the outskirts of Lusk. Then we turned towards Loughshinny, which we reached in another half hour. The evenings are possibly the ideal time for cycling – the light was only beautiful on the day we were out, and the break at Loughshinny Harbour was lovely. Refreshed and rested, we pushed on land-inwards, past Baldungan Castle (which I myself had never seen up close before, so we stopped for a photo), crossing the Skerries-Lusk road near the former Daffodil Gallery, and then on another beautiful back road down to Skerries again, where we rolled into town just in time to enjoy the last of the summer evening at the harbour. This cycle comes highly recommended! It is aimed primarily at adults, including those who have bikes but may not have used them for a while. Not suitable for complete beginners. See here for a map of the tour. Starting from the Sea Pole at 7.30 p.m on Saturday evening 21 June; we anticipate returning there at around 9.30 p.m.
And don’t forget the Family Fun Cycle to Ardgillan with a picnic by the Rose Garden. Meet Skerries Mills 12 noon on Sunday 22 June! Photographs: Michael McKenna (4), Sabine McKenna (the last one). 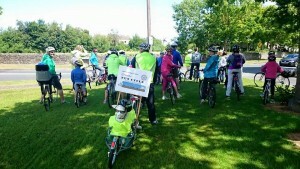 Skerries Cycling Initiative is a committee of the Skerries Community Association. The Skerries End Stage Rás Committee would like to say a massive THANK YOU to all who supported and helped this year with the An Post Rás End Stage and Street Party. It was a triumph of community spirit and cooperation. Thanks to all the marshals and stewards, to Fingal Tri Club and all the stallholders, the schools, community and sports groups, to our photographer Michael Johnston, the Sphinx ladies cycle group, to St Patrick’s Church, Skerries Community Association, to Coca Cola for the bottled water and to Ollies Place for the packed lunches for stewards, to Skerries Mills for their car park, Holmpatrick School for the Race Centre, to the local businesses and residents, and anyone inconvenienced by traffic restrictions, and to the spectators who turned out in droves for this great event. We could not have done it without you. Fingers crossed for a record 10th in Skerries in 2015!